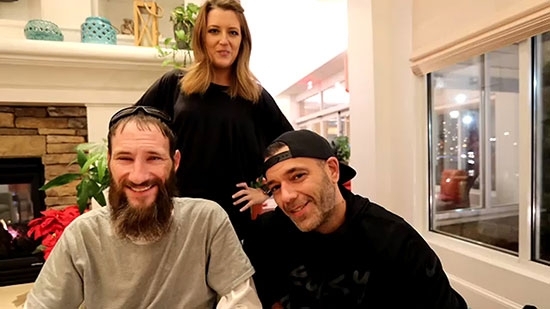 A New Jersey couple and a Philadelphia homeless man have all been arrested following an investigation into a GoFundMe campaign that raised hundreds of thousands of dollars last year. 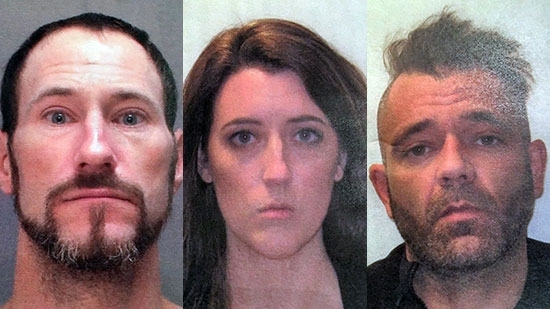 The couple, Kate McClure and Mark D'Amico, were taken into custody by the Burlington County Prosecutor's Office on Wednesday, 11/14. Johnny Bobbitt was arrested in Philadelphia on Wednesday and awaits extradition. All three are charged with Theft by Deception (second-degree) and Conspiracy to Commit Theft by Deception (second-degree). Burlington County Prosecutor Scott Coffina said at a press conference on Thursday, 11/15, that all three conspired to make up a story and create the fundraiser. The entire feel-good tale was a hoax. McClure did not run out of gas nor was she left stranded on I-95. Bobbitt did not walk to a gas station and use his last $20 to buy her gas. In fact, the couple met him about a month prior. They all came up with the scheme and launched the GoFundMe on November 10, 2017. The 'pay it forward' story was so compelling that they raised around $400,000. They may have gotten away with it if it were not for greed. The couple, who controlled the money, squandered most of it on trips, casinos, a BMW, and expensive bags. In September, Bobbitt sued the couple because he believed he wasn't getting his share and that they were mismanaging the money. However, that just opened it all up to an investigation which uncovered the hoax. Coffina announced that GoFundMe would be making refunds to the 14,000 donors who participated in the campaign.